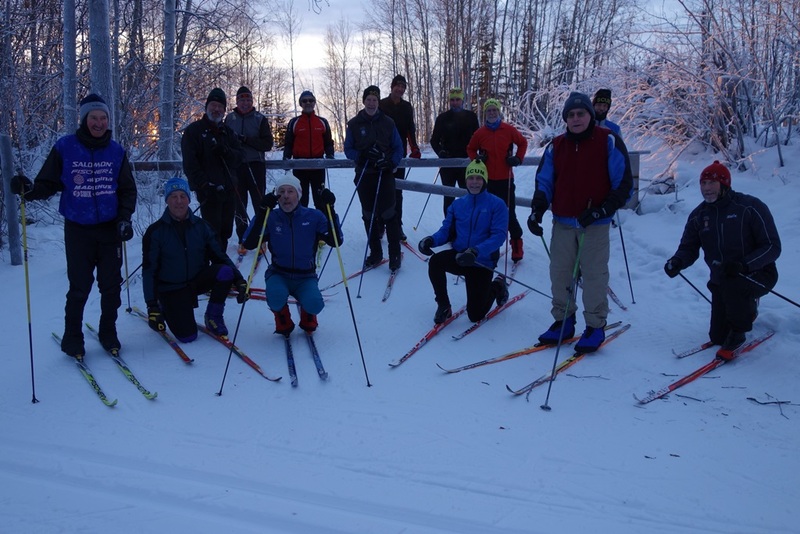 On the Sunday closest to the winter solstice, the SCUM welcomed some of our wayward skiers back to celebrate the holidays in Nordic skiing nirvana. The days are so short near the winter solstice that the skies are especially beautiful. Here are the SCUM at the Sonot Connector intersection on the White Bear at high noon. 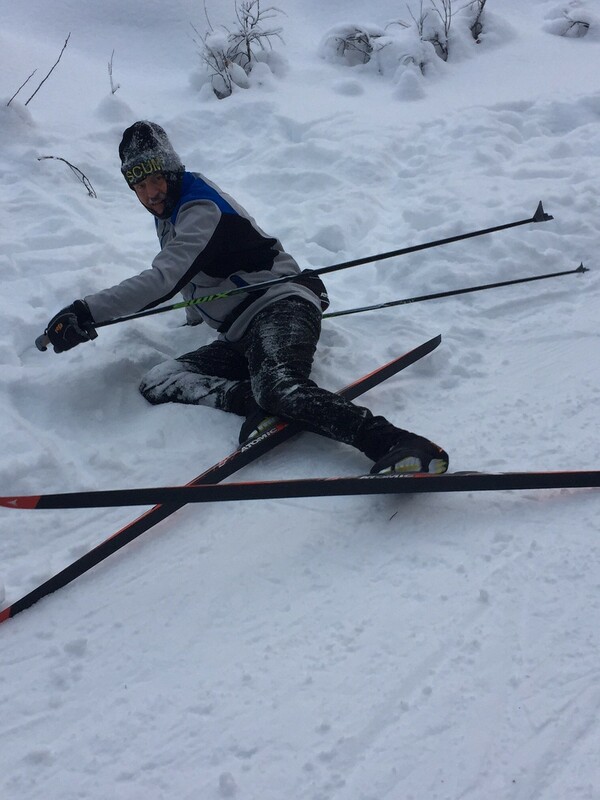 In Moilanen Meadows, Dermot noticed extra flex in his ski. 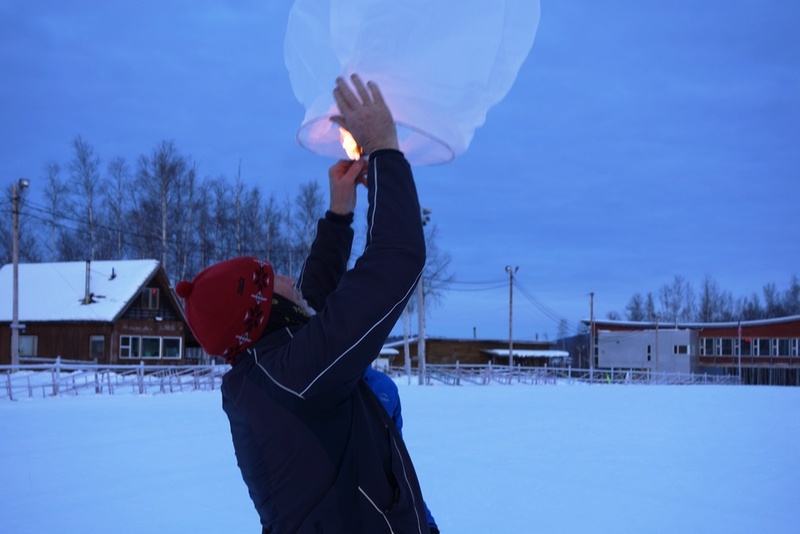 Back in the stadium, we launched sky lanterns to Russ and Lars, who left us a little over a year ago. 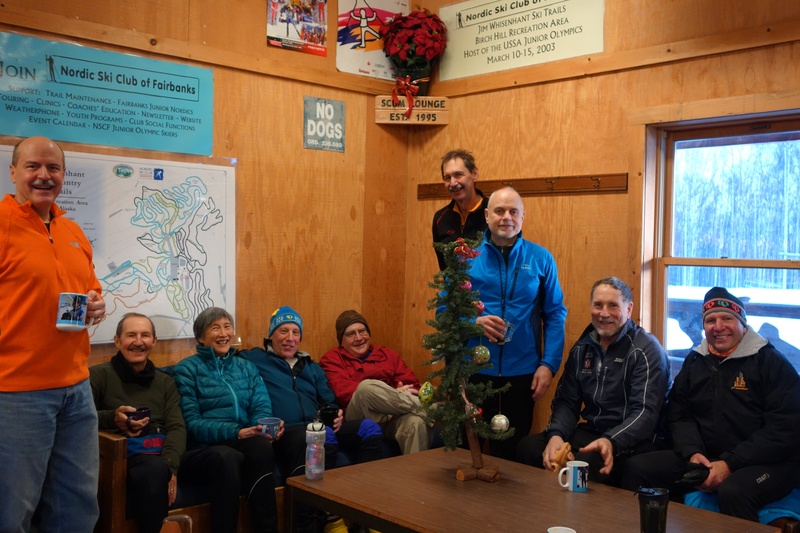 We then retreated to the warming hut to enjoy some coffee and sweets to end the shortest Sunday of the year. Happy Holidays from the SCUM (organizers of the Sonot Kkaazoot)! 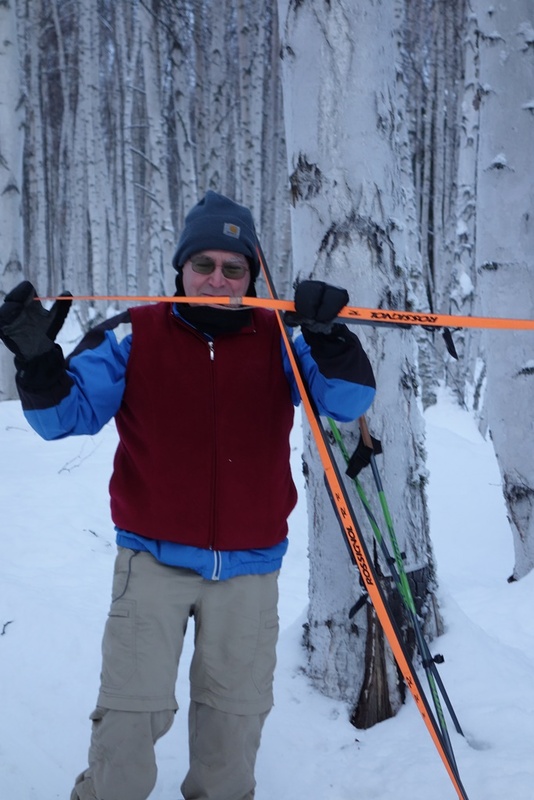 Photo of Robert’s snow angel by Bill Husby; photo of SCUM and tree by Barbara Schuhmann.